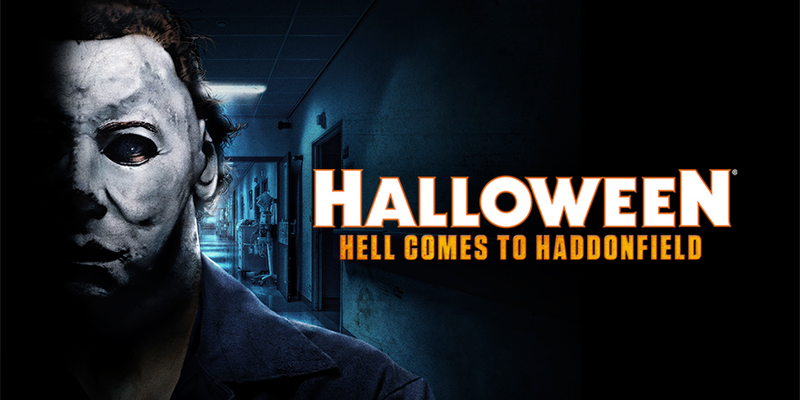 Michael Myers is coming home in the newest attraction just announced for Universal Studios’ Halloween Horror Nights 2016 in Orlando and Hollywood, as Hell comes to Haddonfield in an all new maze. According to a statement released today from Universal Orlando’s director of creative development for entertainment Michael Aiello, the new 2016 maze will actually be a sequel to their 2014 Halloween maze that took fans through the Myers House and many of the events of the first Halloween film in 1978, as fans this year will find themselves trying to survive inside Haddonfield Memorial Hospital, the primary setting for Halloween II. We are also happy to hear that Halloween franchise producer Malek Akkad will be involved in the new maze, as well as updated information confirming that Michael Myers is also coming to Halloween Horror Nights in Hollywood as well as Orlando. “The original Halloween maze we created for Halloween Horror Nights 24 was a massive success,” says Aiello. “For fans of the original film, it was an opportunity to walk through the scenes of a revered horror film and be pursued by horror icon Michael Myers. “Growing up with the original Halloween, I always loved and appreciated that its sequel was simply titled, Halloween II. It literally picked up the events within seconds from where the previous ended. I found this so cool. What I thought was the end was merely the first half of a horrific story! The sequel continued Myers’ terror on the town of Haddonfield. And instead of a sleepy neighborhood, we were placed into the confines of Haddonfield Memorial Hospital. It’s a cold, stark setting, but also—just like the original—very familiar. “And just like in 2014, we couldn’t be happier to be collaborating with Malek Akkad, producer of so many installments of the Halloween franchise. The new Halloween-inspired maze is the latest haunt attraction to be confirmed for the 26th annual year of Halloween Horror Nights in Orlando, joining the previously announced Texas Chain Saw Massacre and The Exorcist, as well as The Walking Dead. You can watch the official announcement video in the player below!